Gorgeous unobstructed mountain and golf course views. Beautifully upgraded Tripleknot townhome in Tetherow, one of Bend’s most desirable golf neighborhoods. Vaulted ceilings, fine finishes and abundant natural light. Master retreat and large den on the main floor with 2 suites upstairs. Chef’s kitchen with gorgeous cabinetry, double islands, solid surface counters and stainless appliances. Hardwood floors throughout most of the home. Extended paver patios for outdoor entertaining. Abundant built in garage cabinets provide tons of storage. Neighborhood pool, fitness facility, restaurants and 18 hole golf course. Phil’s trail and numerous other mountain biking hiking trails at your door. Minutes to downtown Bend and you can be skiing at Mt Bachelor in 20 minutes! Please, send me more information on this property: MLS# 201811466 – $1,050,000 – 61337 Triple Knot Road, Bend, OR 97702. 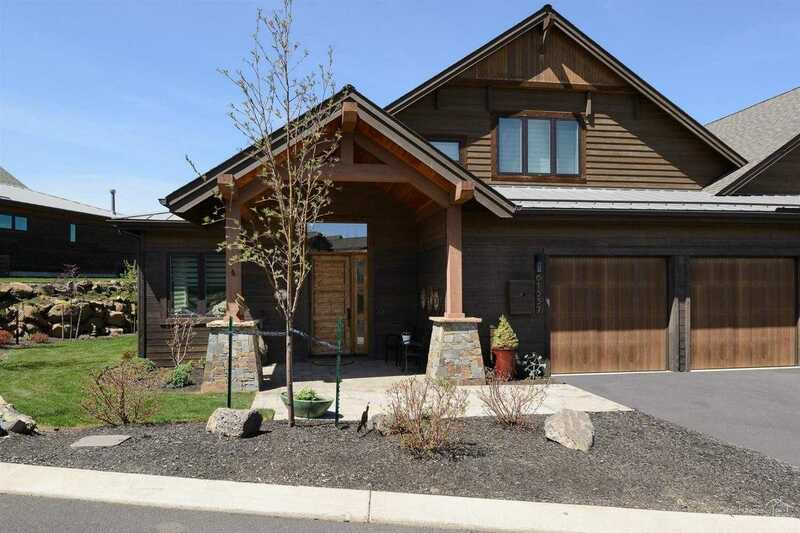 I would like to schedule a private showing for this property: MLS# 201811466 – $1,050,000 – 61337 Triple Knot Road, Bend, OR 97702.